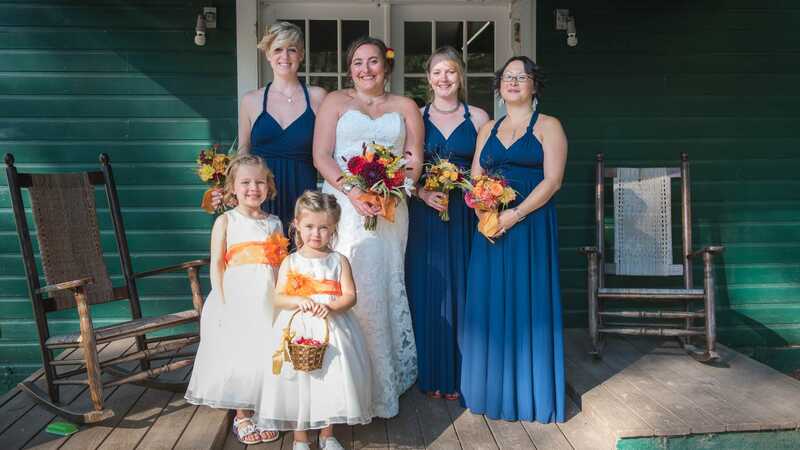 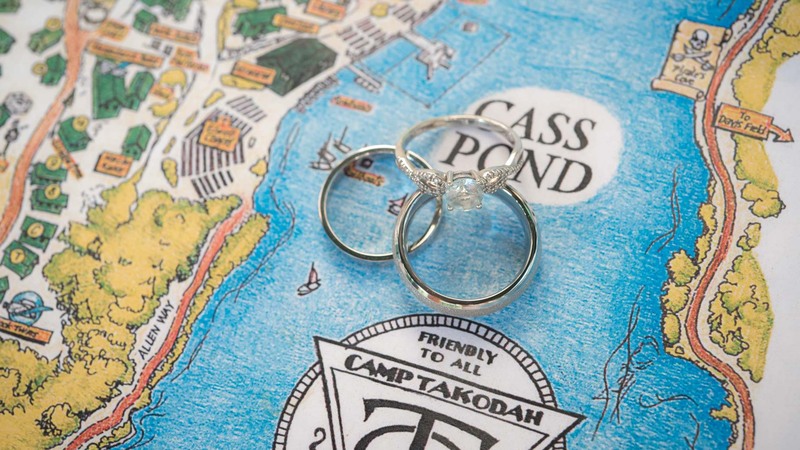 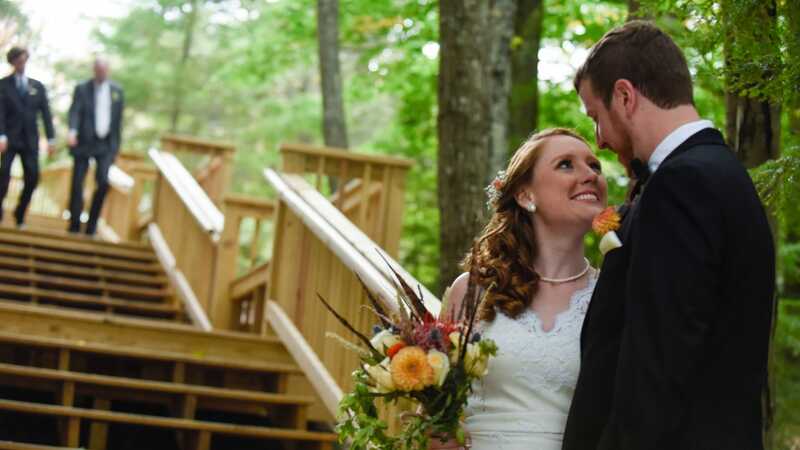 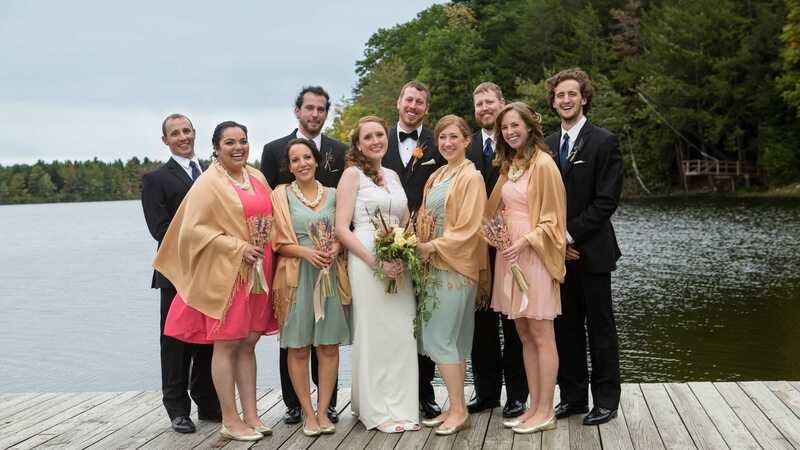 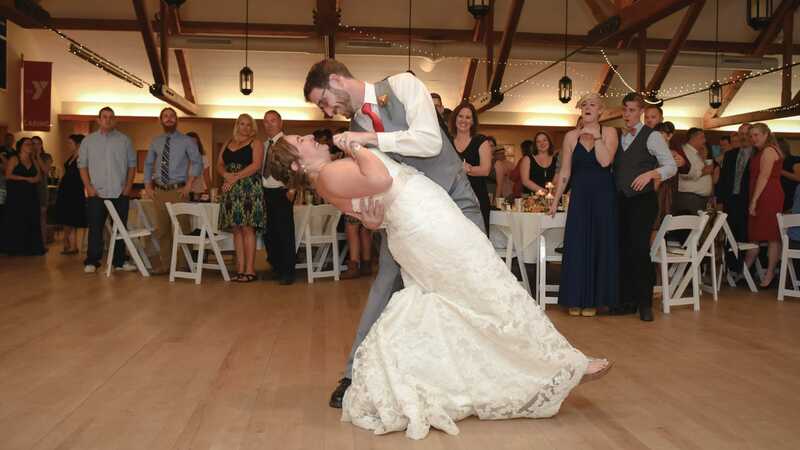 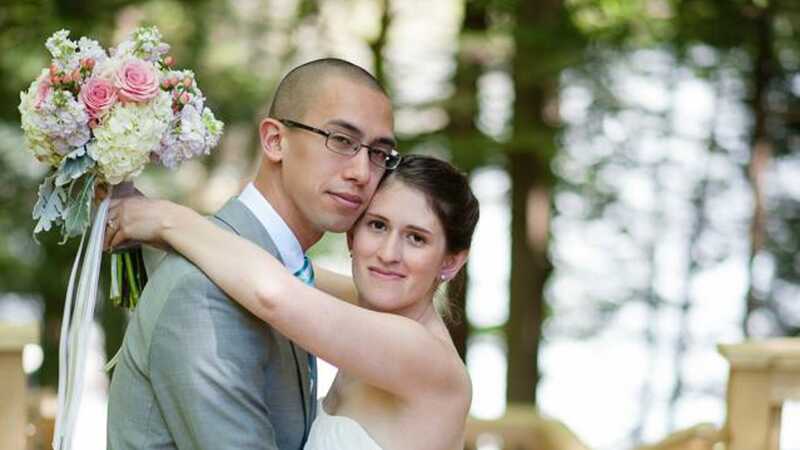 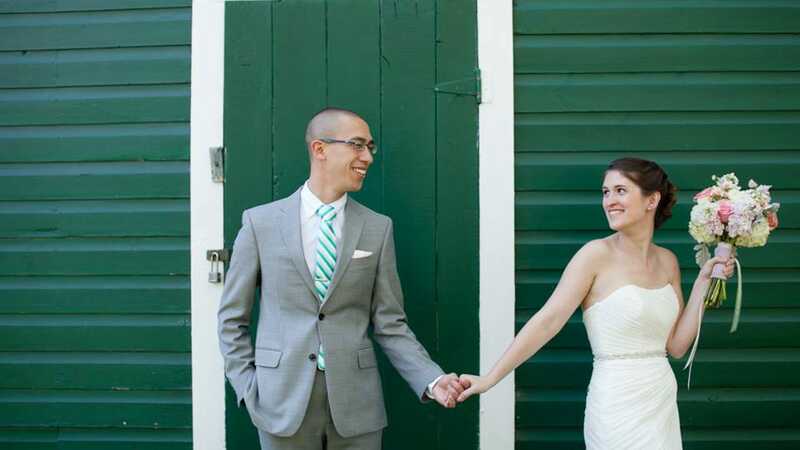 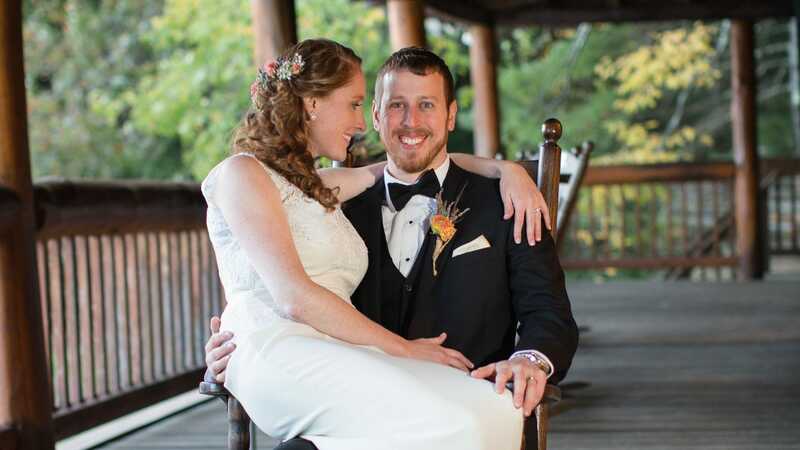 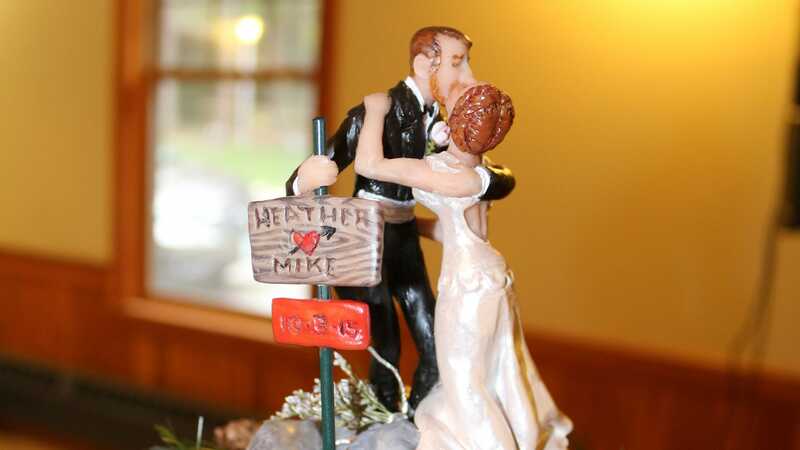 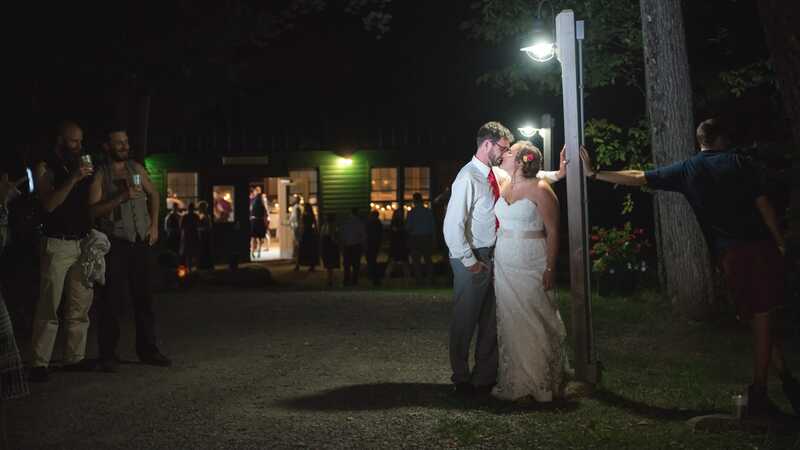 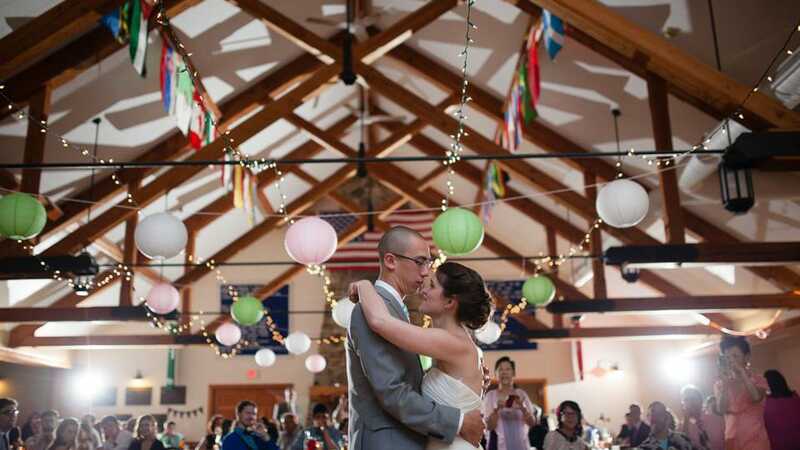 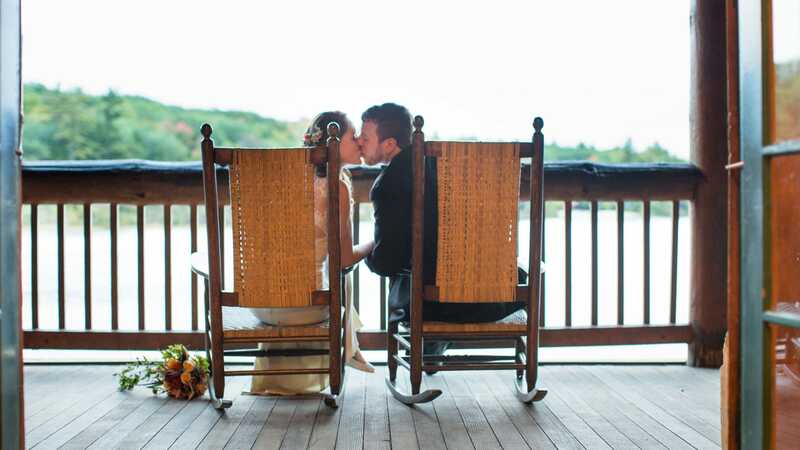 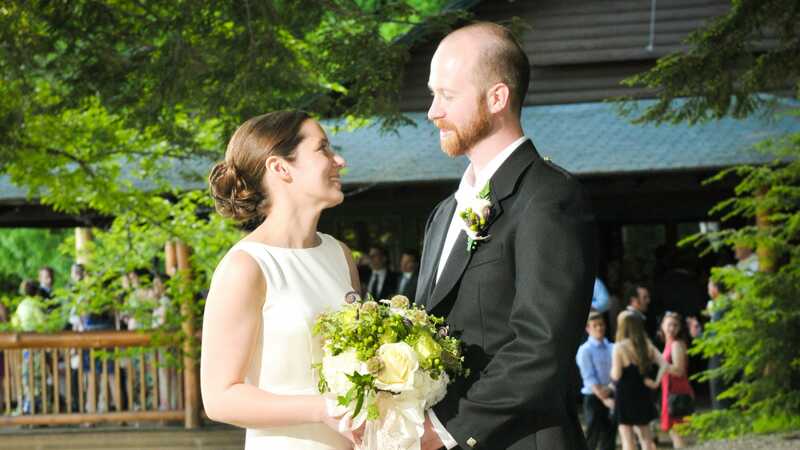 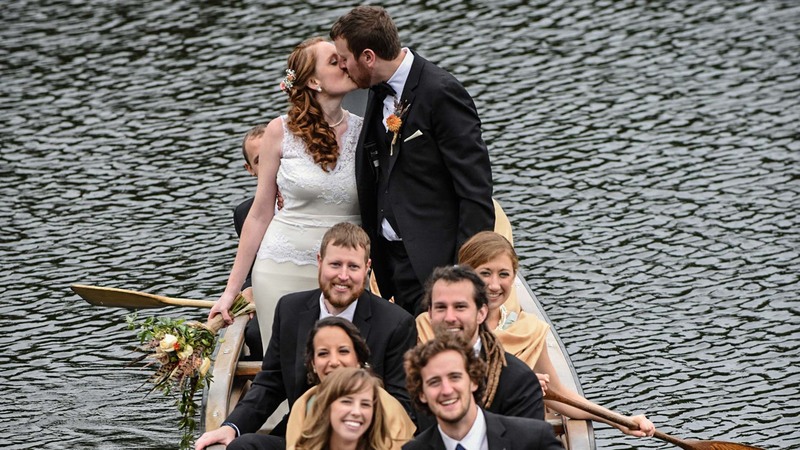 Tie the knot in a beautiful, rustic wedding at Camp Takodah. 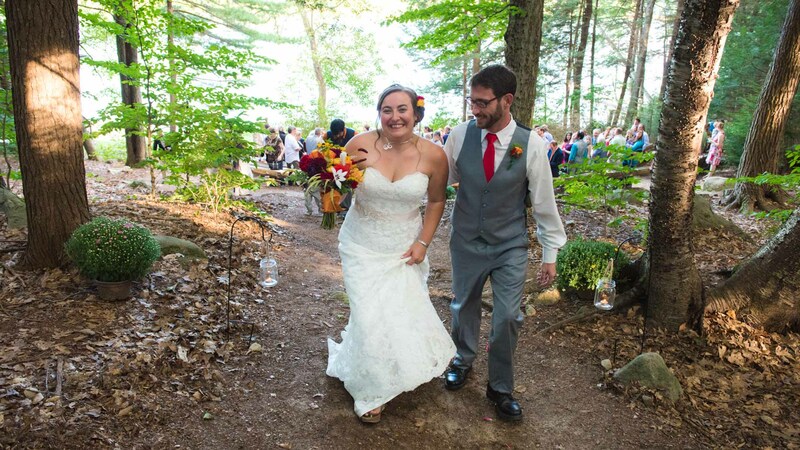 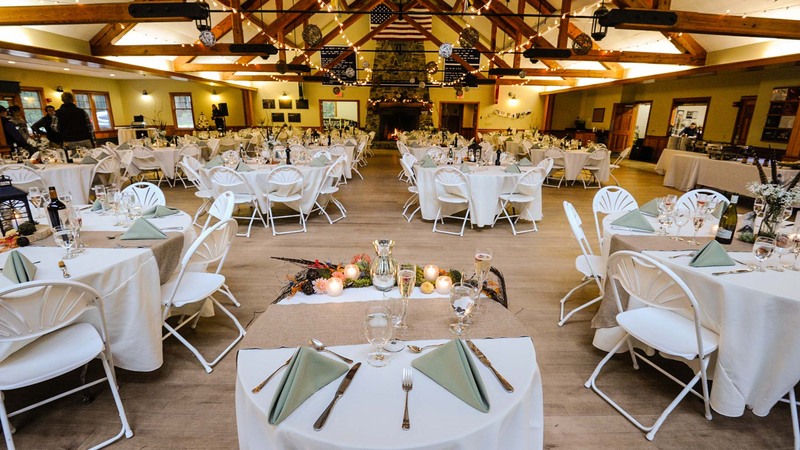 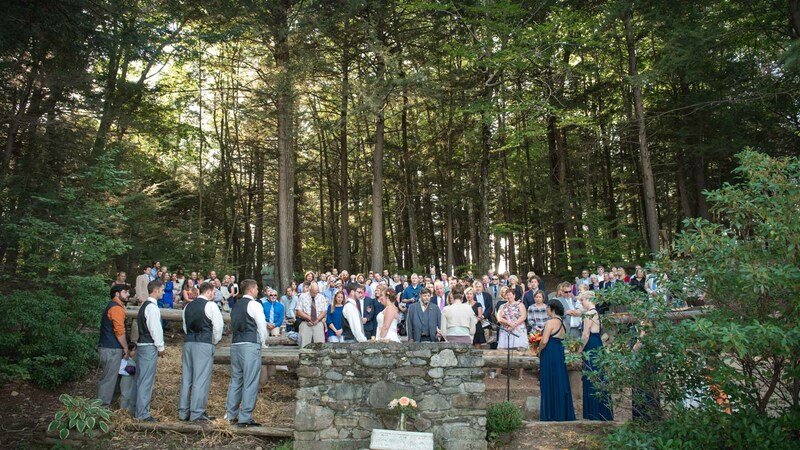 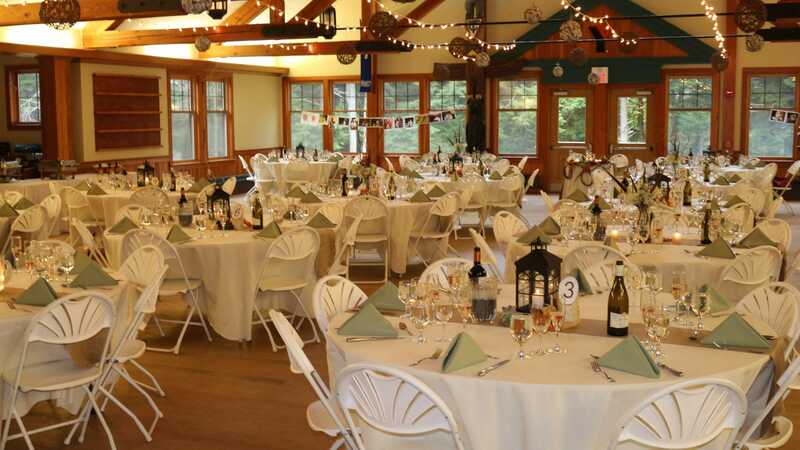 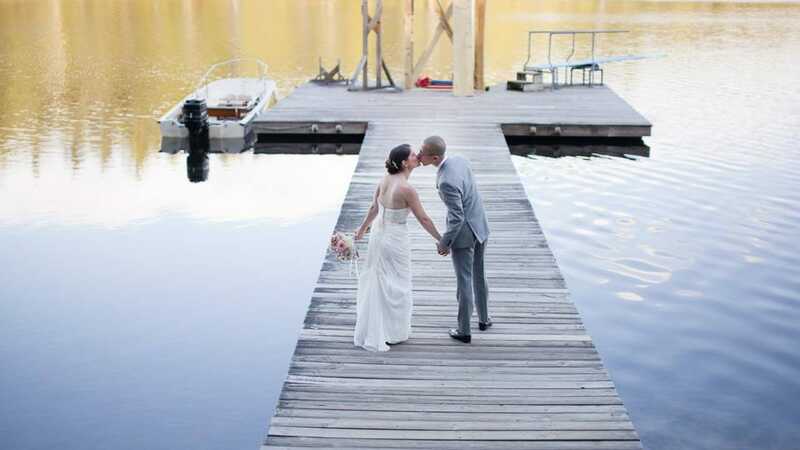 Set in the beautiful forest of southern New Hampshire, on the shorelines of Cass Pond, Takodah plays host to a calm and idyllic setting for a relaxing wedding. 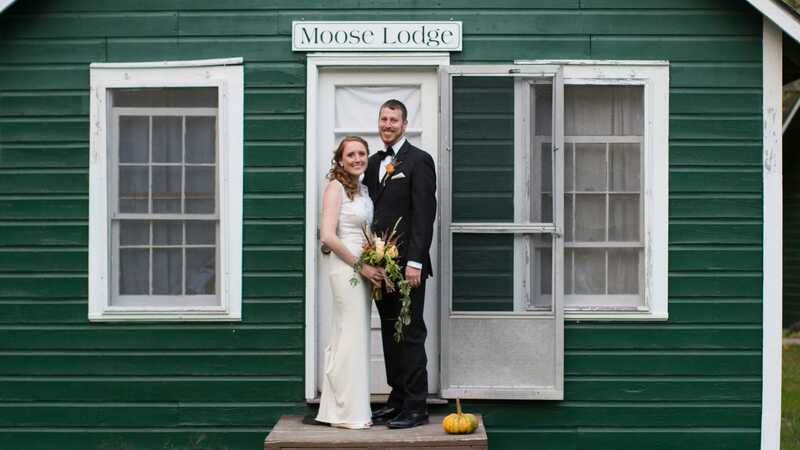 Spend all weekend with your family and friends celebrating and camping out in our wooden cabins and winterized lodge. 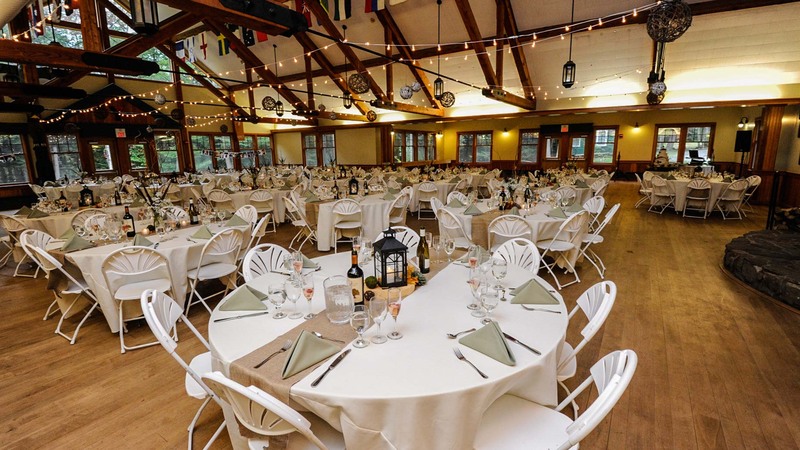 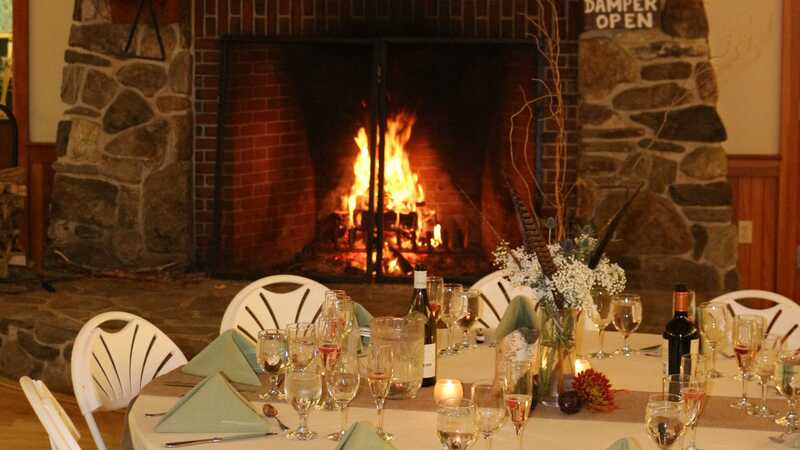 Take full advantage of the outdoor sports facilities, community fire pits, lakeside lodge, and beautiful reception hall all while staying on a budget. 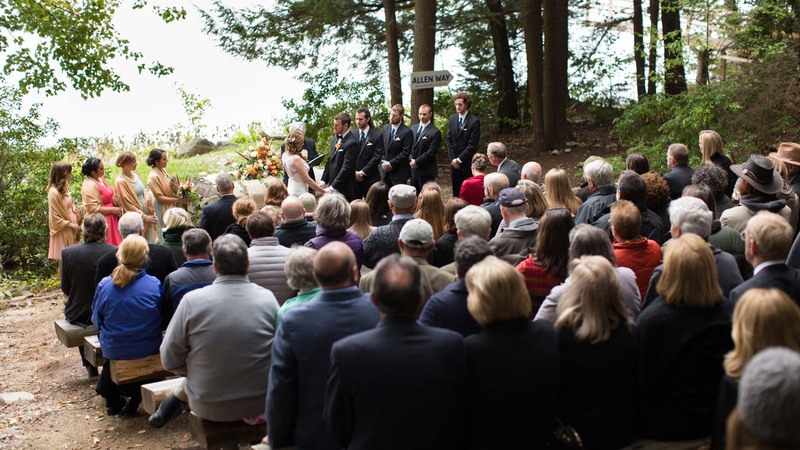 To help with all of your planning and preparations all weddings at Takodah are able to take advantage of our special relationship with wedding planner Jennifer Matthews of Memorable Events. 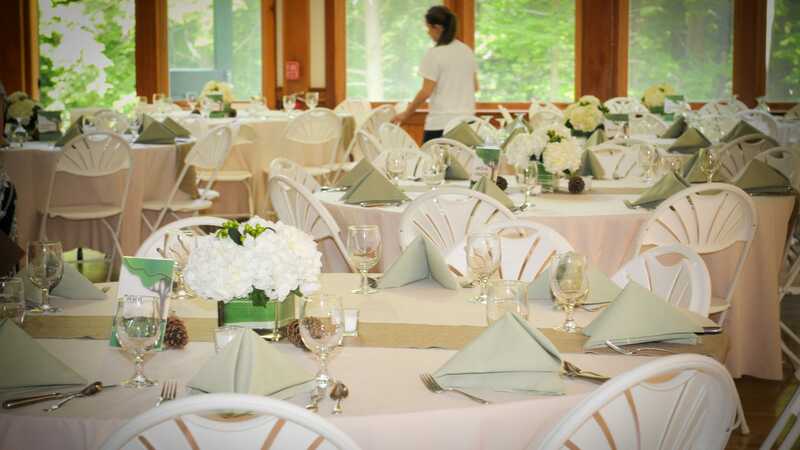 Our staff have a reputation for being some of the friendliest you and your guests are likely to meet and we welcome you with open arms to share our home. 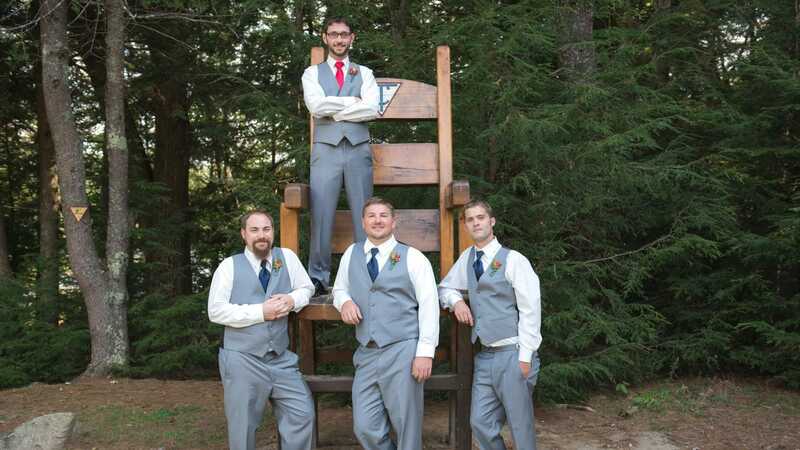 2 Hours of Programming – Your Choice! 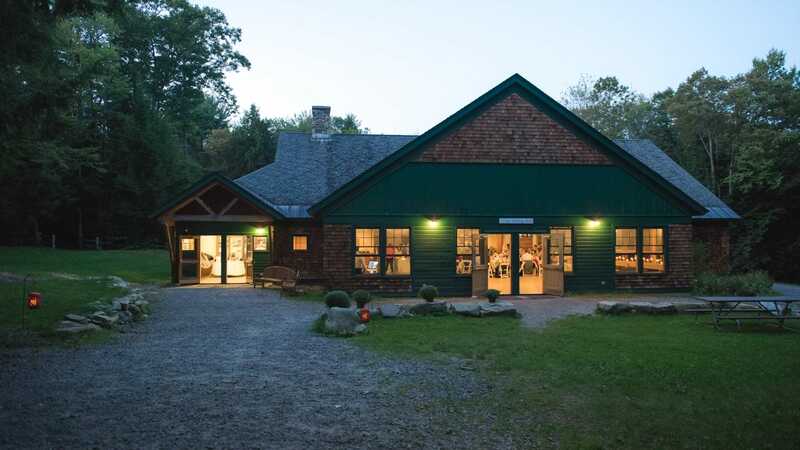 $100/hr Programming: Swimming, Ropes Course (12 max), Canoeing, Zip Lining (12 max) etc.